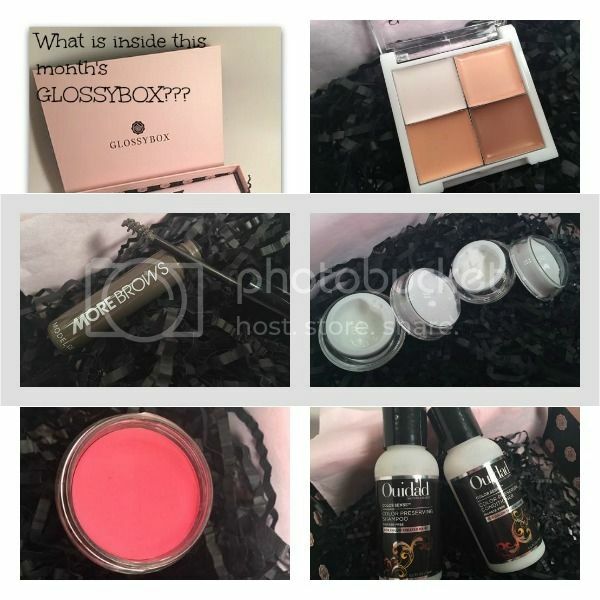 Pammy Blogs Beauty: Jump into Spring with GLOSSYBOX! March Box Opening! Jump into Spring with GLOSSYBOX! March Box Opening! Spring is here! It is time to dive into the season with a box full of high end makeup goodies. What a great time to add some new products to your routine! 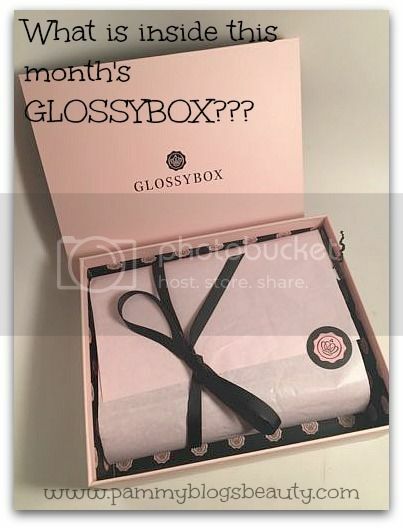 I am super excited to share this month's amazing GLOSSYBOX with you! Just click "read more" below to find out what is inside this month's box! You just know that it is going to be a good GLOSSYBOX opening when you open the box and it smells amazing! That is exactly what happened this month! So, lets dive right in. What is smelling so great?!?! So Susan Cosmetics | Concealer Quad: (Full size! Retails for $34.95): I am always intrigued by the concept of a concealer palette. The idea is that you can custom mix a variety of shades to get your exact match. The upside is that you can create a custom color, the downside is that there are many shades in this palette that are just not going to work for me as they are too dark. If I was a makeup artist, this would be a great kit! For me, the lightest shade and the white look like they would work for highlighting and concealing (I guess the dark could work for contouring?). This mix and match concealer quad has you covered-no matter your skin tone. The hypo-allergenic formula stars hydrating virgin marula oil, perfectly covering blemishes and minor imperfections. ModelCo | More Brows Eyebrow Thickening Gel in Medium/Dark: I can always use a good brow gel since my brows tend to be unruly. However, this gel is too dark for my coloring. Oh well! Looks like this one will go to my Mom. Achieve natural-looking, fuller brows instantly with this quick-dry gel formula that contains hair-like particles to create the appearance of fuller, more even eyebrows. Perfect for women with naturally sparse or over-plucked arches, More Brows will take you into Brooke Shields territory in seconds. Bellapierre Cosmetics Cheek & Lip Stain in Pink: (Full Size retails for $19.99): Oh cool! I have gotten this in a sample box before and adore this shade! It is the absolute perfect "Barbie" pink! Just rub it on with your fingers and you have a lovely shade for cheeks or lips. Fora healthy flush reminiscent of a spring day spent outdoors, this girly lip and cheek stain blends seemlessly whenever it is applied. The oil-free, mineral-based formula is lightweight yet perfectly pigmented. Quidad Color Sense Preserving Shampoo & Conditioner (deluxe sample size, 2.5 oz each, full size retails for $10.00 each): Soooo, this is what smells so good in my GLOSSYBOX! This super fresh/clean scent is amazing! I have explored this brand a bit in the past, but have never tried a shampoo or conditioner. Excited to try this! If winter has left your hair feeling dry, give it some tender lovin' care. This nutritive blend of apricot oil and honey infuses antioxidants and protects color from fading. Use the shampoo to remove daily mineral deposits, and the conditioner to protect against dehydration for healthy-looking, radiant hair. Orogold Cosmetics 24K Multi-Vitamin Day Moisturizer: (Full size retails for $178.00, 2 small samples in box): I have heard of this line, but I have never tried anything. These little sample jars would be perfect for travel. I am very curious to try this! Inspired by the medicinal benefits of gold throughout history, this luscious day cream contains vitamins, antioxidants, and yes, pure 24 karat gold, which works to reduce the signs of aging by plumping the skin. You got some nice products this month.